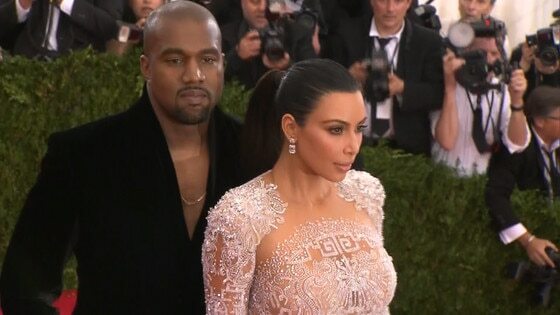 Kim and Kanye Welcome Their Baby Boy! Break out the mini Air Yeezys, because Kim Kardashian and Kanye West have welcomed a baby boy! The reality star gave birth to their child, the couple's second, on Saturday morning. "KANYE AND I WELCOME OUR BABY BOY!" Kim wrote on her website and app. "Mother and son are doing well," the message stated. His name was not revealed. In her post, Kim also shared a sweet photo. Kim had one day earlier posted on social media a selfie showing her nine-month-old baby bump, saying, "Ready whenever you are lol." The star, who was also rumored to be planning to get induced early, revealed before Thanksgiving that there was a chance she'd have to get a C-section this time around because her baby was breech, meaning his body was turned in the womb. Fortunately, Kim was able to undergo a procedure over the Thanksgiving-holiday weekend to have the baby turned in the correct direction, head pointing down. "This weekend I checked into the hospital and underwent a procedure called an ECV (External Cephalic Version, or a Version), which is done to manually turn the baby from a breech position to a head-down position," she revealed in a Dec. 1 blog post. "They gave me an IV with medication to relax my uterus, and then three doctors attempted to work together to turn the baby," she continued. "There was a risk that my water might break or the baby's heart rate could drop—in which case, an emergency C-section would then take place. I went in with my sisters and my husband. I was prepared for it all!" "They don't give you any pain medication, and let me tell you: This was soooooo painful," Kim wrote. "Probably more painful than childbirth. BUT it worked!!!" That was a major relief for Kim, who still hoped to deliver the baby naturally. However, "if it's an emergency and for the safety of my son, I will get a C-section—but if I don't need one, I'd rather not," she previously explained. When E! News talked to Kim recently, she admitted that she and Kanye hadn't picked out a name just yet, and also confessed that she was a bit anxious entering the last month of her pregnancy. "We just started talking about it and that was the last thing for us last time. So I feel confident obviously that we'll figure it out," she told us exclusively. The Keeping Up With the Kardashians star added, "Every medical issue that you could probably have I feel like I get and I worry so much about it," Kim said. "This pregnancy I have a little bit more anxiety just because I know what's to come and it's really inevitable some of the issues that I'm going to have. You know, I have a high-risk delivery and all of that gives me such anxiety." However, this isn't her first rodeo when it comes to motherhood, and this time around, she has a little helper that is more than eager to help mommy out with the new addition. "We talk about baby brother all the time," the 35-year-old star recently told E! News exclusively about big sis Nori. "She's so sweet and yesterday she said, ‘Mommy, can I give baby brother a kiss on your tummy?' and she kissed my stomach. She's super sweet. She has a hard time when I hold other babies but she's been getting a little bit better and I'm hoping that with her brother it's a whole new experience." Kim revealed that they were expecting a baby boy on Father's Day in the sweetest way. Posting a picture of ‘Ye reading to Nori, Kim captioned it, "Precious moments like this when we were traveling on tour with you are what I live for. You're such a good daddy to North & you will be the best daddy to our new son too!" Fans of the Keeping Up With the Kardashians star were well aware that the famous couple wanted to expand their family, but also knew it wasn't easy for the pair. Kim was very open about her fertility struggles when trying to get pregnant again, and explained the obstacles she faced to Glamour magazine in June. "I didn't know that I was going to be so open with [my fertility challenges]," she admitted. "But meeting people at my fertility doctor's office who are going through the same things I'm going through, I thought, 'Why not share my story? It's been really emotional. "One doctor told me I would need my uterus removed after I had another baby—I could only have one more. One was like, 'You should get a surrogate.' The other one was like, 'Oh, no, you'll be fine.' Then I called my doctor, and he's like, 'You know what? I believe—we'll get through it.' There are definitely times when I walked out [of the doctor's office] hysterically crying, and other times when I was like, 'OK, everything's looking good—it's going to be this month!'" And as we now see, everything worked out perfectly. Watch Keeping Up With the Kardashians this Sunday at 9 p.m., only on E!